Chefdelice is a Spanish company located in Alcantarilla (Murcia), our warehouse and offices are located in Avenida (Avenue) del Descubrimiento, parcela (area) 9-10, nave (industrial unit) 7. We are dedicated to the production and distribution of food flavourings, concentrates and ingredients for bakery, ice creams and creative confectionery. We have a wide variety of flavourings: concentrates, Aromas/flavourings emulsified pastes, creams, colourings, extracts, concentrates, etc. 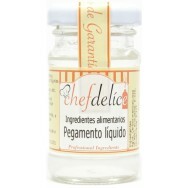 High quality products designed for the Catering & Hospitality Industries that Chefdelice gladly offers to professional chefs and food and creative confectionery lovers. Our catalog is constantly growing, improving and we work very hard to offer only the best products, always according to our client needs. We think of cooking as an Art, especially when making desserts where we must pay attention to the smallest detail, for example in decoration, in order to create: layercakes, fondants cakes, cupcakes, etc..
Our products are subject to strict quality controls that ensures high quality products. Furthermore a second analysis is undertaken by an external laboratory to ensure exceptional quality. We have created this online shop to offer you not only the best possible products, but also a pleasant shopping experience without leaving home. We want to offer reliability, because we are sure and confident of providing an exceptional experience and outstanding products. Do you have any questions? 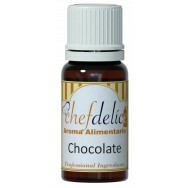 In Chefdelice we are available to answer any questions/doubts or feedbacks about our products. We thank you for giving us the opportunity to share our passion for food concentrates and flavourings.